There will eventually be a time when your grandchildren will mock your generation for using dirty fossil fuels to power the world. It will be an easy thing to mock when they’re filling up their car’s fuel tank with some coffee! Yes, you read that right! Soon, you could be cruising around the streets in a coffee-powered vehicle. Rising energy prices seem to be tearing holes in everyone’s pockets, and the economic effects have pushed ‘green’ technology into the mainstream. As it turns out, there are much weirder sources of energy than corn and molasses. Finally, we’re reverting back to the traditional way of harnessing energy – Natural Body Heat! This natural source of energy has been implemented in many countries, but Sweden has the most efficient method of harnessing it. Using Body heat to harness energy. 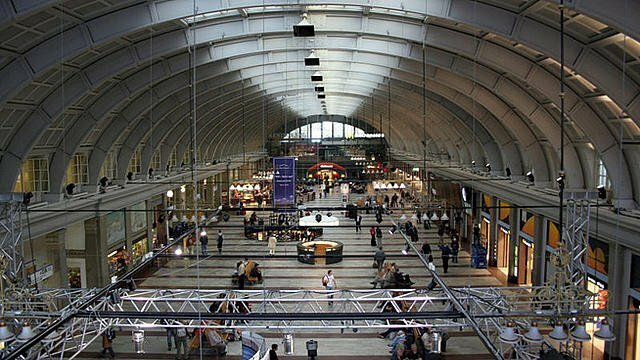 The body heat generated by the 250,000 commuters who crowd Stockholm’s railway station (Scandinavia’s busiest travel hub) each day is immense. This heat used to drift off into the air and be wasted, but engineers have figured out a way to harness it and transfer it to a newly renovated office building down the block. The heat generated by the commuters is captured by the station’s ventilation system and used to warm water in underground tanks. This water is then redirected into the office’s ventilation, thus heating the entire block. A piping hot cup of coffee fuels the morning activities for most people in the Western Hemisphere. However, what if the same coffee could be used to fuel their morning commute too? Every year, the global population consumes 600 billion cups of coffee. An average coffee shop throws out 10 kg of coffee every day. However, the coffee grounds that are thrown away can actually be used to produce bio-diesel fuel. Bio-bean, which was founded in London by an architecture student, claims to be the first company to industrialize coffee-waste recycling and produce bio-diesel and a biomass pellet product from this previously disposed-of resource. In a popular movie, Forrest Gump, the titular character tells everyone he meets that “Life is like a box of chocolates; you never know what you’re going to get.” Well, in this particular box of chocolate, we’re getting fuel that will soon power cars! The waste left over from a chocolate factory can actually be fed to E. coli bacteria, which results in the creation of hydrogen. Hydrogen is one of the cleanest known fuels, as its only byproduct is water. Fat from chocolate can also be converted into bio-fuel and has been used to power a race car, reaching 130 miles per hour on the track. Now that’s a sweet deal! Let’s say that you decide to go to the club one day and suddenly realize that the lighting on the floor is being powered by your killer dance moves! How amazing would that be? 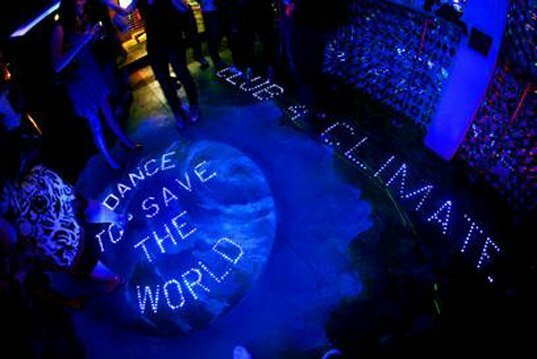 A number of dance clubs in Japan have already implemented this technology in order to make their establishments self-sustainable. 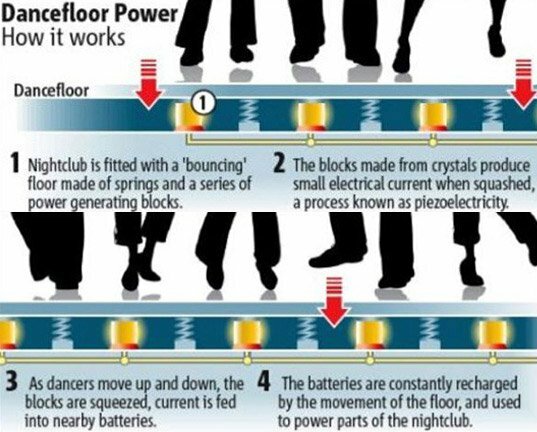 The kinetic energy of people walking or dancing can be converted into electricity, which is then used to make the floor react and interact visually, as well as power applications, showing the direct electricity output of a person’s movements. This concept works on the principle of piezoelectricity. Piezoelectricity is produced when stress or strain is applied on an object, which can then be converted to electricity. A truly intense dance-off would probably power an entire building! The most promising option on this list, however, is algae, which could realistically replace fossil fuels on our planet. Algae has a higher calorific value (heat content) than corn or sugar, making it more efficient as a fuel source. This idea has been around since 1942, and since then, scientists have been working hard on various ways to harness this energy. Algae as a fuel source has applications from biodiesel to aviation fuel. Certain algae species can be dried up and the fatty acids are then extracted. These fatty acids are subjected to esterification and biodiesel is thus obtained. Pretty simple! Now that you know all of the wild options, which one is the craziest choice for the future of humanity?